XSEED, you and I need to talk. See, I wasn’t planning on buying a Vita anytime soon. But then, you had to let me get my hands on the demo for Ys: Memories of Celceta, and now I’ll have to buy one when the game reaches our shores this fall. My empty wallet is not pleased. Ys: Memories of Celceta is a remake of Ys IV by Falcom. For whatever reason, the company decided not to make Ys IV themselves the first time around, and two completely different versions were made—one by Hudson Soft and one by Tonkin House, respectively—in 1993. It’s confusing, and you won’t care, anyway, because this version replaces those two in the series timeline. 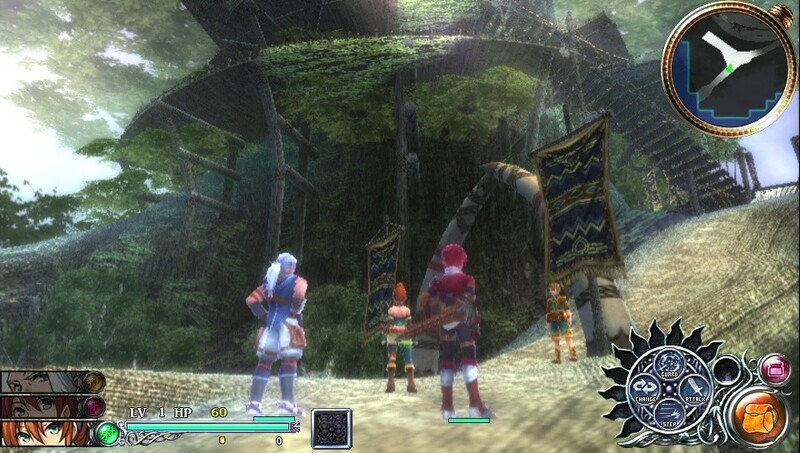 At the game’s outset, Adol, the Ys series’ main protagonist, has amnesia. Not much of the plot has been revealed at this point, but you can check out the general plotline here. I played a Japanese build of the game, so I couldn’t decipher any additional details, either, but I’ve always enjoyed the plots of the Ys games (Oath in Felghana is fantastic. Seriously. ), and I have high expectations for this one, as well. That said, I did experience much of the game’s battle system. 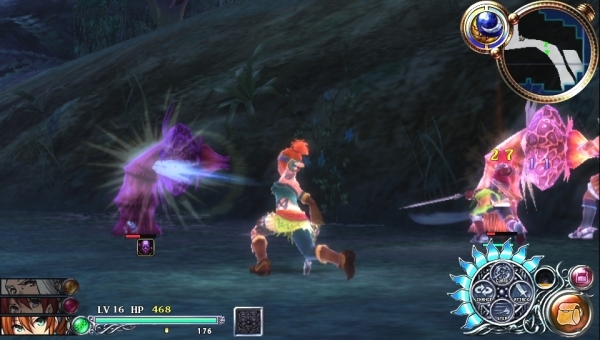 Ys: Memories of Celceta uses a modified version of the party battle system found in Ys Seven. 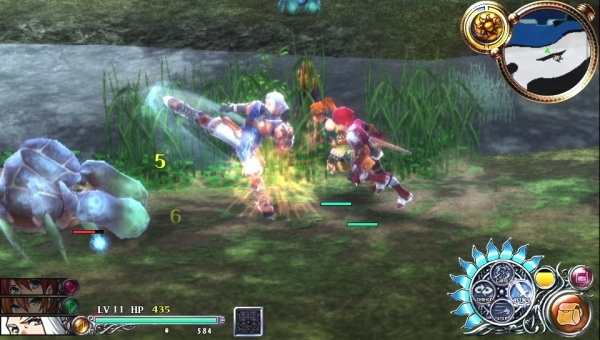 You take control of Adol and two other AI-controlled teammates. Each character features a different weapon, skill set, and strengths and weaknesses. All three characters share a skill meter represented by a flower. Each move costs a set amount of petals (one petal per ten points), but the meter regenerates as you vanquish foes. Each character also has a special attack, but the meter associated with it regenerates at a slower rate than the skill meter, so these moves have to be used wisely. I played with Adol, Duren, and Karna during my playtime. Adol is well-balanced and wields a sword. His swings are generally wide and inflict a moderate amount of damage. Duren uses his body as a weapon, preferring to punch and kick enemies. His attacks are stronger than Adol’s, but he also has to get much closer to inflict damage. Karna can throw daggers from a distance. While she can stay far from the maelstrom of a battle, her attacks are relatively weaker than Adol’s and significantly weaker than Duren’s. Part of the fun of the game, though, lies in choosing the right character for the right enemy. You can instantly switch to another character with a press of the O button. It’s seamless and doesn’t hamper the flow of battle. Each character has a variety of skills gained through battle. Up to four can be equipped at a time, then activated by holding the R button and pushing one of the four face buttons (X, O, triangle, and square). Skills appear to come in all shapes and sizes—Duran has a high kick and an uppercut, Karna can throw multiple daggers and poison foes, and Adol can somersault through the air while slashing his sword. Each skill also increases in level as you use it and kill foes with it. Speaking of which, killing a foe with a skill results in a skill kill, and the game slows down to highlight the character and their finishing blow. You can also roll and dash out of the way of oncoming attacks. Combat is fast, fluid, and just plain fun. You can chain your attacks together for combos, which appeared to cause additional damage. I received several aerial combos for knocking enemies onto their backs, then using a skill. You comrades also jump right into battle, but they seem to do a good job of taking care of themselves. You can’t let them handle all the fighting on their own, but they aren’t pushovers, either, and never did anything overwhelmingly stupid that resulted in their own death. An XSEED PR rep also assured me that, while you can only have three members in your party at a time, there are more characters to recruit throughout the game. I am a bit worried that the lack of a jump might make the game’s dungeons a bit dull, but I didn’t have a chance to explore a dungeon. I ran around in a verdant field slaughtering angry flowers, giant crabs, and violent fish. For whatever reason, nature has always been at odds with Adol. The same holds true in this adventure. The game moves at a fast pace, with few to zero frame rate issues. Attacks are flashy, colorful, and altogether over-the-top, but that’s always been part of the charm of the series. While the game generally looks nice, there are some blurry environmental textures. I wouldn’t say it detracts from the game overall, but it doesn’t look as crisp and clear as most Vita games. On the sound front, I’m not sure if the same composer from the PSP titles is handling this game, but it sounds like it, which is a good thing. Ys games are partly known for their soundtracks, and I’m hoping this game is no exception. Combat during my playtime featured soaring violin and electric guitar melodies that are practically a hallmark of the series. While that sounds vague, listen to the trailer below for an idea. 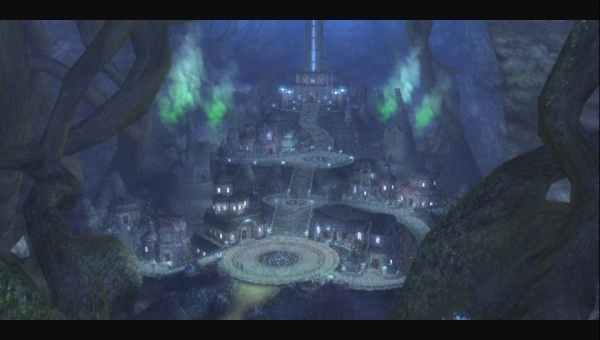 Anyone who has played a Ys game knows exactly what I mean. Ys: Memories of Celceta appears to carry on the tenets of the Ys franchise: furious combat, a blistering soundtrack (with an occasional somber tune that somehow still rocks), and a tale of high adventure in a mysterious land. XSEED has stated that this entry in the series is the largest yet in terms of size and content. If that holds true, Ys fans might just be in for the ultimate Ys adventure when the game releases this fall.